This review first appeared in Pan, the journal of the British Flute Society and is reproduced with permission. 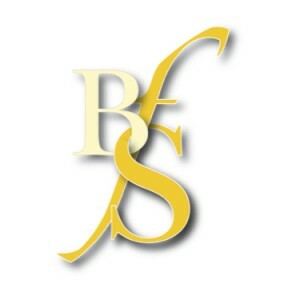 Join the BFS: prices start from £20 a year. Written for flute and piano, this work combines traditions from villages and regions across Ukraine with new musical material. Senchuck pays homage to his family home by drawing on the ornimental characteristcs of the sepilka, a Ukranian flute. Harmonics work well as an aid to this tembre, although an overblown mddle C# doesn't add to this effect. 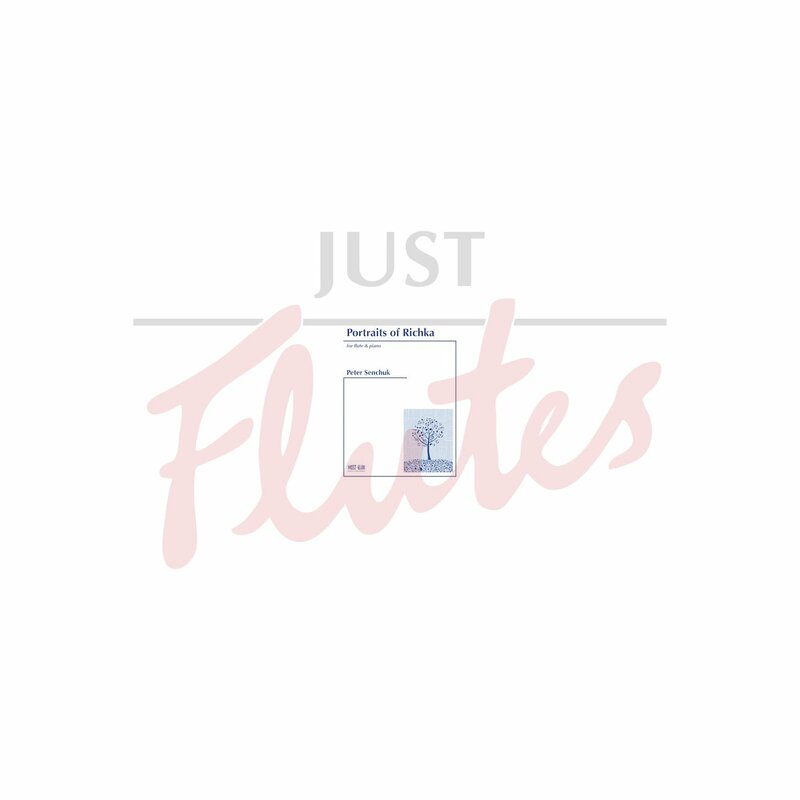 The suite begins with solo flute,written with quotes from a traditional Ukrainian folk song, Between Two Mointains, representing the mountainous terrain surrounding Richka. Senchuck marks this section quasi cadenza, with further instructions promoting the performer's use of the score for their own expression. The movement naturally contrasts between the semiquaver and the slower, lyrical passages, ending with a beautifully over-blown phrase in the upper octave that really highlights the tonality of the piece, and the tembre of the sepilka. When the piano comes in, the splayed chords and repetition of rhythmic patterns add colour to the flutist's now energetic line. The second part of the suite, titled Vesillya, captures the dance and celebration of a wedding. The melody constructed from newly composed material, takes you in unexpected directions, jumping between scalic passages and syncopated rhythms or long trills. Litya (memorial) then relaxes the tempo quite significantly. Sechuck's programme notes detail the importance of the Ukranian Orthodox church, both to the the villages of Ukraine and to this piece. Just as the church is situated at the centre of the village, Senchuck chose to embody a hymn (Vichnaya Pamyat) within this third section. On the final time through the hymn, the flute plays a descant melody, directed as "uplifting". Arkan brings together musical ideas from the previous sections in a lively, rhythmic section that draws from a traditional Hutsul dance, the Arkan. Typically men would dance around a fire in a circular motion to a 2/4 metre. Senchuck, however, sets his Hutsul dance in a mixture of metres with fragmented rhythms, directing the tempo towards a climatic finish. The final semiquaver section of this movement is given the performance direction of "as fast as possible (152+)" and includes several metre changes which all lead towards the fortissimo ending on a super D, really adding to a dramatic finish. Overall Senchuck gives the performers a lot to work with, including mood changes, tone colours and some complex scalic passages. 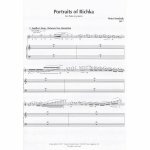 Portraits of Richka is a musical homage to the village of Richka, which is located in the Carpathian Mountains in western Ukraine. This four movement piece is a programmatic suite that draws on different places, events and musical traditions from the village and region for each movement. Some traditional folk melodies are used along with characteristic ornamentations used by Ukrainian musicians who play sopilka, the traditional Ukrainian flute. 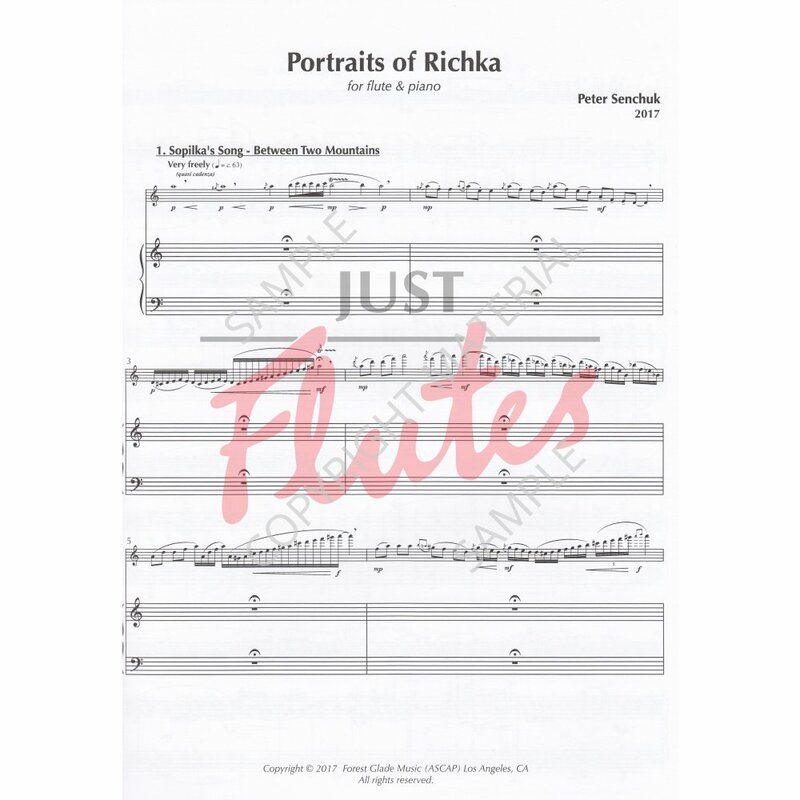 Portraits of Richka was commissioned in 2017 by Pam Youngblood and played at the National Flute Convention in Minneapolis.